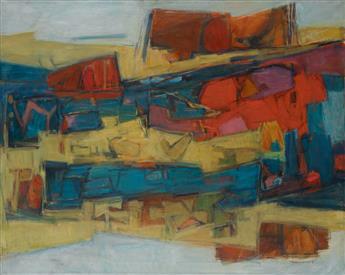 NORMAN LEWIS (1909 - 1979) Untitled. 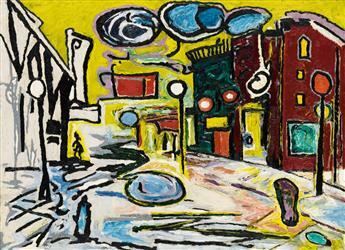 BEAUFORD DELANEY (1901 - 1979) Untitled (Village Street Scene). 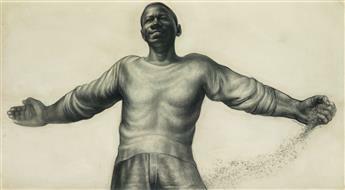 CHARLES WHITE (1918 - 1979) O Freedom. 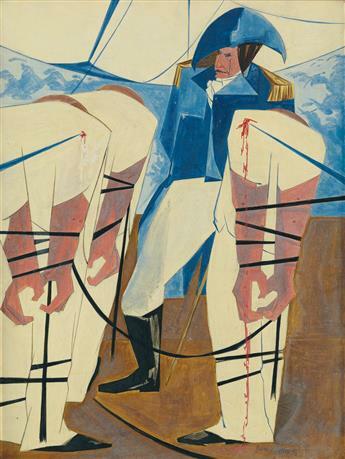 JACOB LAWRENCE (1917 - 2000) 19. 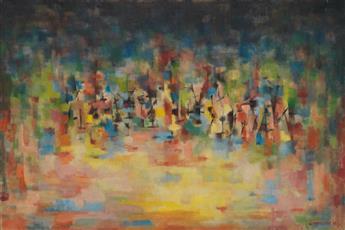 Tension on the High Seas. HALE WOODRUFF (1900 - 1980) Primordial Landscape. 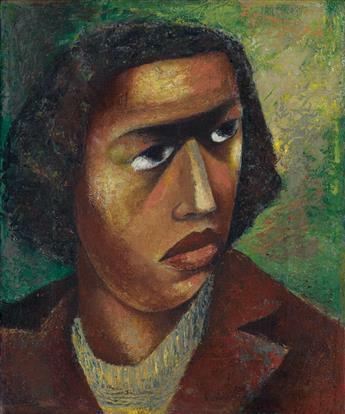 ELIZABETH CATLETT (1915 - 2012) Head of a Woman (Woman). 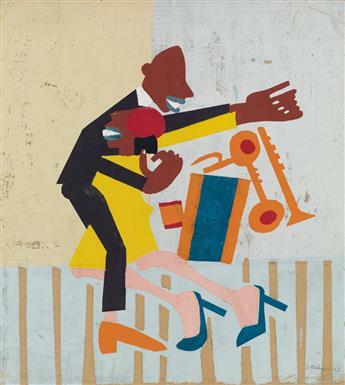 WILLIAM H. JOHNSON (1901 -1970) Jitterbugs III. 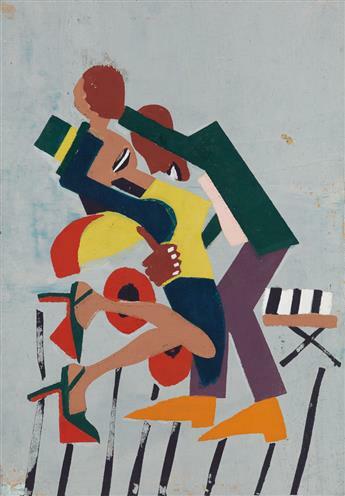 WILLIAM H. JOHNSON (1901 -1970) Jitterbugs II. 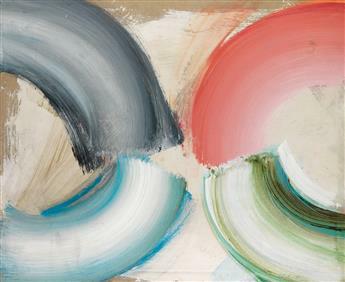 ED CLARK (1926 - ) Untitled.